An elevated WBC count with segmented neutrophils as well as more immature band neutrophils and even metamyelocytes suggests more severe inflammation or infection driving accelerated release of myeloid cells from the bone marrow. This is known as a 'left shift'. 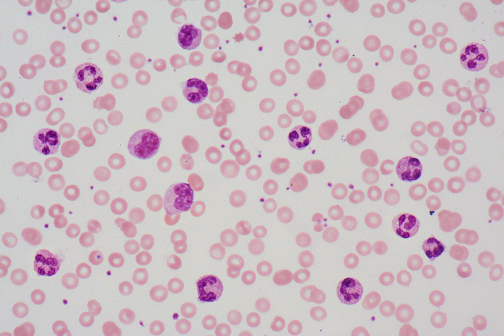 A very high WBC count (>50,000) with pronounced left shift that is not a leukemia is known as a "leukemoid reaction". This reaction can be distinguished from malignant WBC's by the presence of large amounts of leukocyte alkaline phosphatase (LAP) in the normal neutrophils.